Default: this is the accommodation that sets the accommodation component of the base price. Note that there can only be one default accommodation. Alternative: providing there is availability during the enquired period, this is an accommodation that is suggested to your customer as an alternative to the default option. The price difference between the default and alternative is calculated from their respective product settings on Accommodation level and this is presented as an upgrade or downgrade price to your customers. Accommodation in manually priced packages are similar to auto priced packages, however the price of the alternative accommodation options are not dictated by their product price settings on Accommodation level, but are defined within the package itself. 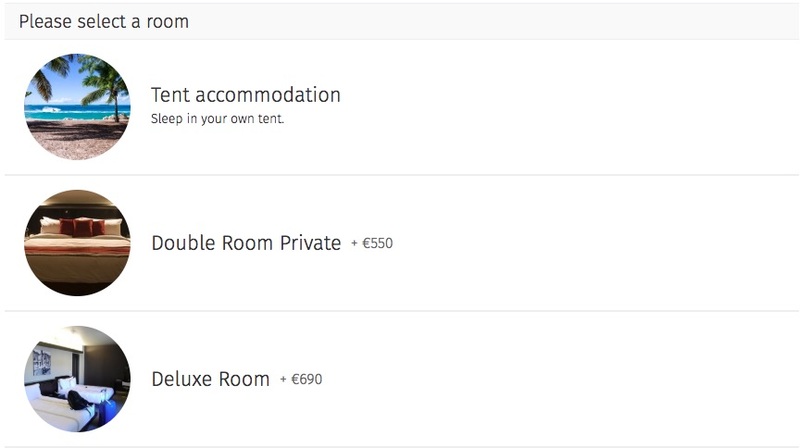 Default: this is the accommodation that is included within the package base price. Note that there can only be one default accommodation. Alternative: this is an accommodation that is suggested to your customer as an alternative to the default option. If selected there is no additional charge. 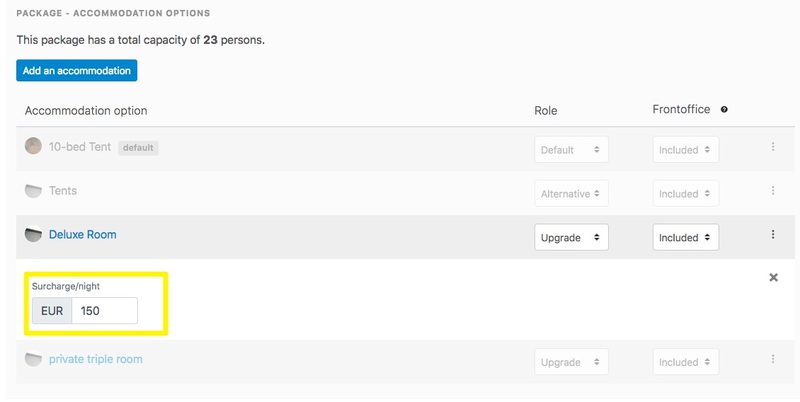 Upgrade: this is an accommodation that is suggested to your customer as an upgrade to the default option. If selected there is an additional charge as defined in the package item settings. What does Frontoffice: included or excluded mean? You can also set an Accommodation option to be part of a package but only bookable via the Backoffice by setting the accommodation excluded in the Frontoffice.